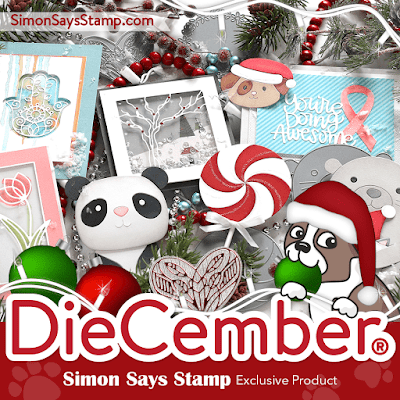 Simon Says Stamp is hosting DieCember, a month-long celebration of crafty dies and die cutting techniques. I am excited to share my first card created with DieCember exclusive product. Would you like to check the full release out, please follow THIS link or click the banner above. 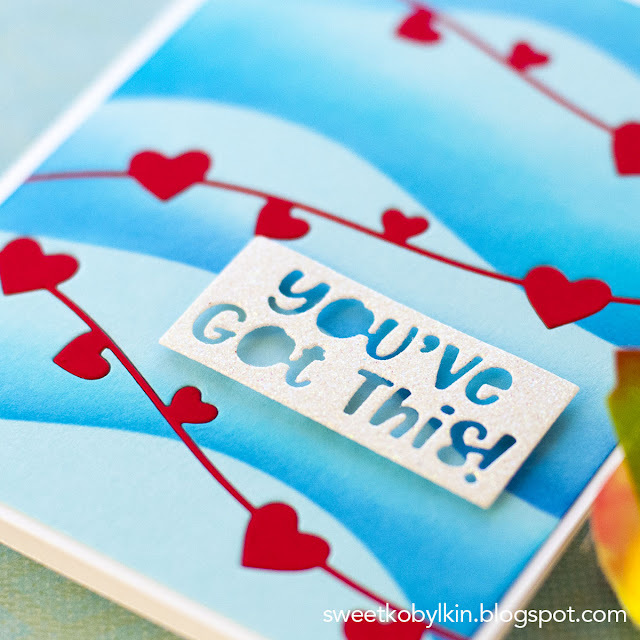 Today I am sharing a card made without a single stamp and for the sake of change not Christmas themed. 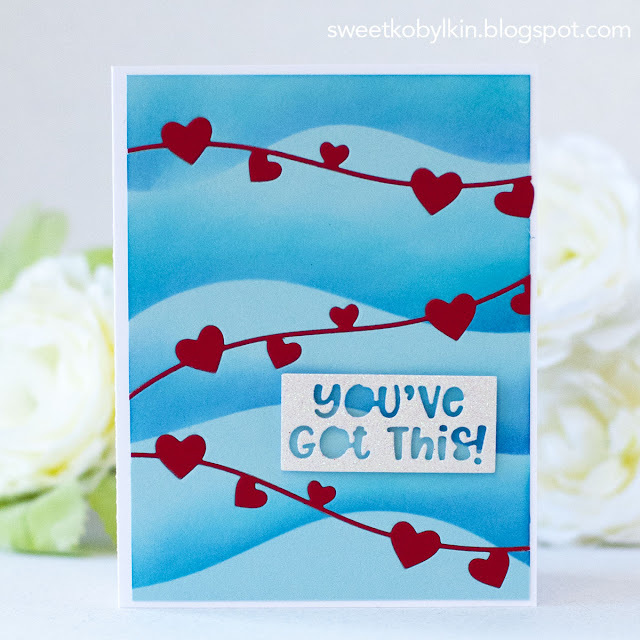 To make this card I started with blending Distress inks onto Surf Blue card panel (this cardstock sample is included in the Snow Much, January 2019 Card Kit) and creating abstract soft background with a help of the Waves and Hills stencil. Ink blending on a coloured cardstock is very forgiving and rapid technique. 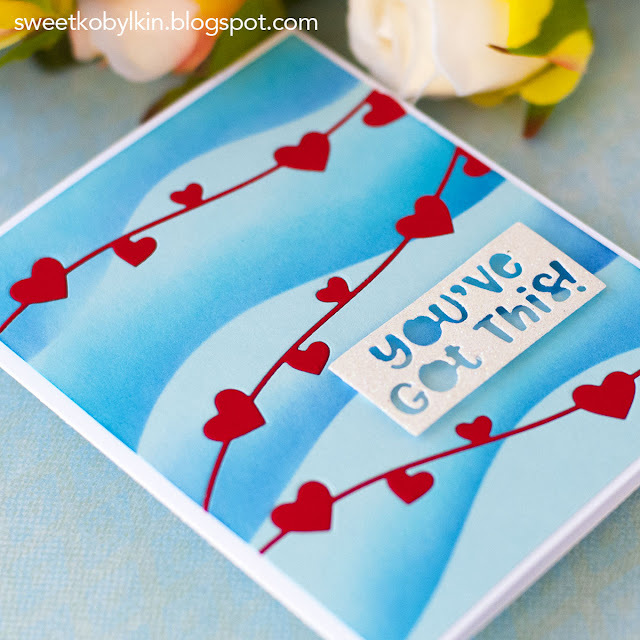 Next, I die cut three streams of hearts from the blended panel, and also three streams from a bright red cardstock. I laid in the red streams with hearts and taped them from the reverse side. 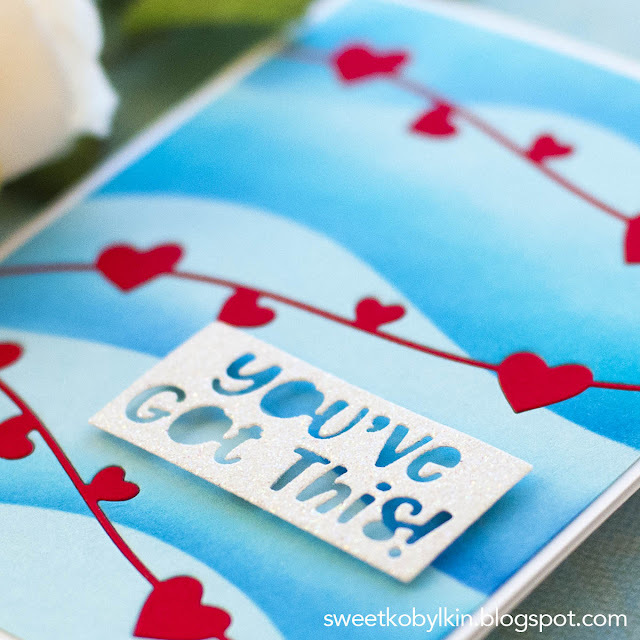 To assemble my card I glued the panel to a white card note and popped You've Got This glitter die cut up with a foam tape.